May I take this opportunity of wishing everyone a happy New Year. On behalf of the Association, I would like to thank you very much for your support over the last twelve months. The Flock Book will be with you very soon – it may be available to collect on the night of the Rough Diamonds Social Evening. The event will be held in the Café Ambio, Junction 36 Crooklands Livestock Auction on Friday 25th January 2019 at 7.30pm - tickets cost £10 each. If anyone would prefer a vegetarian option or have any other dietary needs, please could you let me know. This year the Charity chosen is the Great North Air Ambulance - all money raised will be split equally between the Charity and the RFSBA. It would be nice to see as many members as possible and please bring along family and friends – just let me know numbers for catering purposes either by giving me a ring or complete and return the slip below. Please you could let me know by 21st January at the very latest. 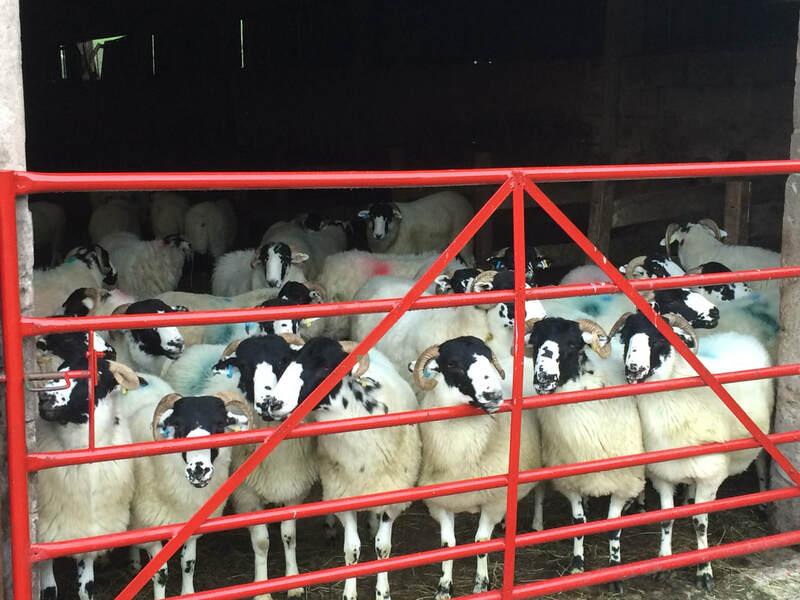 The Stock Judging Competition will be running again and Ian Grisedale has very kindly offered to supply four hoggs for judging again this year. We will also have the usual entertainment and money raising events so please could you bring along any items for the auction or raffle. Please note there will be the sale of In-lamb Rough Fell ewes on Saturday 26th January, with classes for Ewes, Gimmer Shearlings & Gimmer Hoggs. The Ambleside Side Fair annual Show and Sale of Mule, Masham, Rough Fell Mule, Cheviot Mule and Continental Gimmer Lambs, followed by Store Lambs, had an entry of 5000 lambs forward for the sale. Our thanks must go to our pre-sale Judge Mr Michael Hopper of Banbury for giving up his time and expertise. There was the largest entry of show lambs put before Mr Hopper in the Mule and Rough Fell Mule classes, with the overall champion rosette being awarded to Bob Lawrence and Emma Handley, Grange-Over-Sands, with their pen of North Country Mules. The Rough Fell Mule Lamb class was won by TLB & J Knowles, Selside with the Cheviot Mules being won by JE Atkinson, Lowick and the Masham class won by BJ Bainbridge, Shap. The sale of Mule Gimmer Lambs sold to an overall market average of £63. The dry summer down south and many struggling to sell Shearlings led to the reduced price. There was plenty of buyers present, but wanting to purchase fewer sheep this year. The trade was topped by Bob Lawrence and Emma Handley selling to £140 and £120. Strong lambs sold in excess of the £80 mark with bonny running lambs selling in excess of the £70 mark. There was an entry of over 100 Mashams forward selling to a top of £84 from JA Bennet, Long Sleddale, with all Mashams forward selling to a market average in the early sixties. The annual sale of Rough Fell Mule gimmer lambs saw a catalogued entry of over 700 attract a keen ringside of buyers with lambs finding new homes in Scotland, Devon, Wales and the Midlands as well as the local three counties. The sale peaked at £148 from TLB & J Knowles who sold others at £125. MJ & JD Handley achieved £109 with Booth Bros selling to £97. An average of £68.37 was achieved for all sold with increasing interest year on year. The sale of Cheviot Mules saw £100 achieved by Booth Bros with others at £93 from AR & BJ Thompson and £88 from S Crawford. Plenty of stronger lambs were selling between £75 and £80, with all sold averaging £64.94. Several pens of Texel X gimmer lambs sold to keen interest with TMW & H Hodgson achieving £90 and others nicely selling at between £70 and £75 for well grown, all sold averaging £68. The fortnightly sale of Store Lambs had an entry of 1363 forward selling to an average of £55. The sale topped at £76 for Texel lambs from R Gibson & Son, Kendal. Strong lambs once again sold in excess of the £60 mark. Some buyers were slightly more cautious with the recent drop in the Prime Lamb trade. Junior members stock judging at High Lane from Ravenstonedale. The annual Rough Diamonds and Multi-Breed individual female sale including Bluefaced Leicester’s saw a large entry of sheep forward for sale with a busy ringside of buyers and onlookers. The annual Rough Diamonds sale of Rough Fell females on behalf of the Rough Fell Sheep Breeders association saw an entry of 18 forward. The pre-sale show was ably judged by John Law who we thank for his time and expertise. The pre-sale Championship was awarded to J Hunter of Galloper Park, Tebay with a one crop ewe sired by RF2604 Maryfell Walter, carrying a single to RF2563 Lockbank W3. This sharp coloured ewe was much admired in the sale pens and went on to sell for 700gns to S & W Dickinson of Tebay. The Reserve Champion was from T L B & J Knowles of High Borrowbridge, Selside with their Gimmer Shearling. She was sired by the record breaking 10,000gns High Cark Yankie RF2696 and noted as carrying twins to a Catholes ram. This Gimmer Shearling sold for the top price of 800gns joining the flock of A & M Skidmore of Flakebridge, Tebay. Gimmer Hoggs sold to a top of 420gns for the first prize from J Hunter of Galloper Park, Tebay sired by RF2563 Lockbank W3 selling to Duncan Burton of Rutland. A strong trade enjoyed throughout the Rough Fells saw Gimmer Hoggs average £241.50, In Lamb Gimmer Shearlings average £504 and In Lamb Ewes average £388.50. There was an entry twice the size of the previous year of Bluefaced Leicester’s, with the sale gaining a strong reputation from breeders throughout the north of England and into Scotland. The pre-sale judging was in the able hands of David and James Lawson of Westhouse. There was a strong line up out for the show with the Championship rosette awarded to Messrs Lord of West Dowgill with a Gimmer Hogg sired by J1 Barf House selling to A Bastian of Dumfries. A new centre record of 2600gns was achieved for an individual Bluefaced Leicester female consigned by J Wight and Sons, Midlock Farm, Biggar. This modern stylish Gimmer Shearling sired by the renowned Midlock Mustang F027, carrying triplets to the recently purchased Shafthill K1 sold to CT & JE Willoughby of the Penhill Flock. The Gimmer Hoggs forward sold to a top of 1,300gns for first time consigner at J36; RD Archer and Son of Carry House, a replacement lot sired by G1 Highberries Highlander selling to a joint partnership of Kevin Barker, Lancaster and Luke Ayrton, Lancaster. In lamb ewes sold to a top of 1000gns from local breeder RI Dixon of Low Newton with a three-crop ewe sired by F003 Middleton Hall carrying triplets, she sold to Matthew Atkinson of Kendal, with an in-lamb gimmer shearling from the same good home selling to 1,000gns. Bluefaced Leicester gimmer hoggs sold to a market average of £689.50, in lamb gimmer shearlings averaged £1,401 and in lamb ewes averaged £748.13. The multi breed individual sale saw pedigree in lamb Beltex’s sell to a top of 350gns from CM Jennings of Crake Hall, Selside, with in lamb Texel’s selling to 300gns from MP Berry of Highgate Farm, Stalmine. A special entry of Zwartble gimmer shearlings and hoggs all scanned in lamb sold to a top of 140gns twice. There was an entry of 350 in lamb commercial breeding sheep forward for the sale. Following on from the wet winter endured and some worrying about the current forage situation, a better trade was had then maybe expected with quite a bit of interest ringside. In lamb Mule gimmer shearlings due march to the Texel ram sold to £122 from Paul Whitton of Burneside. A flock dispersal on behalf of WA Simpson of The Cart House, Kendal saw flock age mule ewes sell to £122. Texel shearlings topped at £112 from SL Moorhouse of Moor Farm. Aged continental ewes from the flock dispersal on behalf of J Bargh and Son of North Farm top at £110 with Suffolk ewes from the same good home sell to £105. Amanda Denver has now taken over as secretary. Her contact details are on the contact page. The three breed societies for Herdwicks, Swaledale and Rough Fell sheep invite you to an event at Penrith auction on Sun 21st Jan running alongside their winter sale. There will be stands and short films about farming, and a chance to talk to a wide variety of people interested in Cumbrian farming. After the sale there will be a discussion and presentation. Cafe Ambio, Junction 36 at 7.30pm. Tickets 10 pounds each, please let the secretary know if you will be attending. Please bring items for the charity auction, proceeds to RFSBA and St John's Hospice. If anyone has not paid their subscription, please do so now. The sale of Rough Fell Mule Gimmer lambs saw the trade peak at £142, £140 and £132 from Brian and Jayne Knowles of High Borrow Bridge with a cracking consignment of lambs. The first prized pen from Ian Mallinson of Borrow Bridge House sold to £100. There was a strong ringside of buyers for good faced, tupping lambs with smaller running types harder to place this year. There were plenty of well-marked tupping lambs selling between £85 and £95. Rough Fell Mules sold to an average £78.93 which is 92p less than last year. A buoyant trade for Continental and Suffolk gimmer lambs saw the market average lift by £9.90 from the previous year’s sale. Topping the trade was Fred and Tracey Carr of Nissan Huts selling Texel lambs to £120 and £100. Suffolk Mule gimmer lambs sold to £74 from A Hodgson & Son of Borwick Lodge. Mike Kaye and Tony Pickard. Armstrong and Watson and Tony Sharp Trailers. 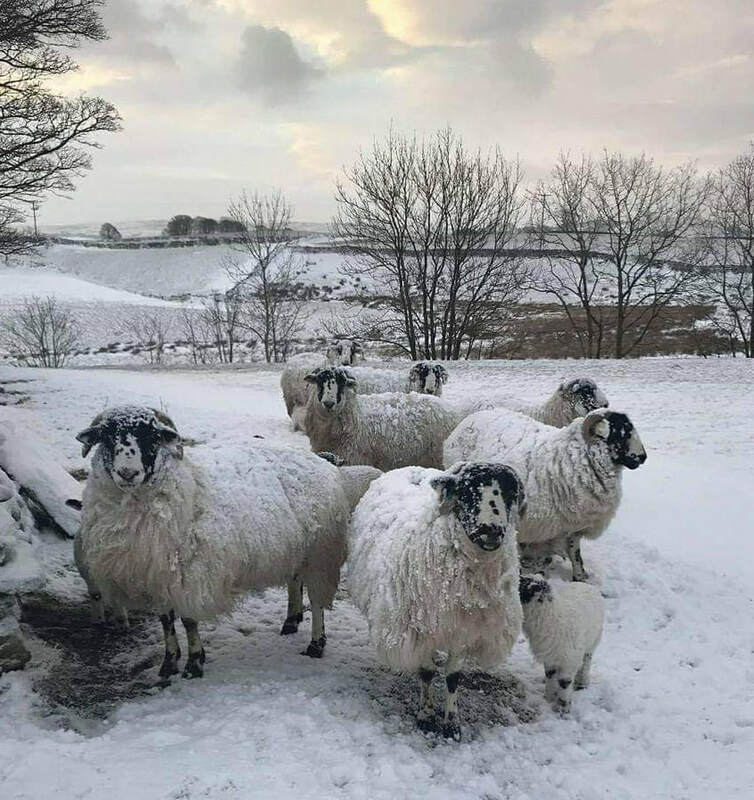 Top PricesGimmer Lambs: Rough Fell Mule £142, £140, £132 High Borrow Bridge, £100 Borrow Bridge House, £96 Archers Hill, £95 Birkhaw, £90 Loweswater Terrace, High Lane, £89 Archers Hall, £88 Sowermire. Mule £128 Ashstead, £102 Tongue House Farm, £97 Catshaw Hall Farm, £94 Holme Farm, £93 Catshaw Hall Farm, £92 Town End, £89 Forest Hall, Calderside, £88 Howe Farm, Middale Farm.